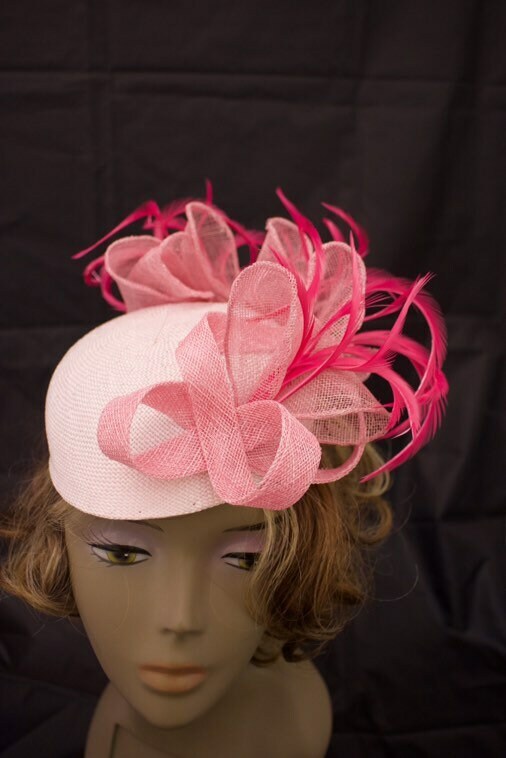 Here is stunning blush pink pillbox hat trimmed with hand rolled sinamay swirls and feathers. All materials have been hand dyed in my studio, then blocked by hand and decorated. This pillbox fascinator is ready to ship in blush pink color but also can be fully customized to your requirements. 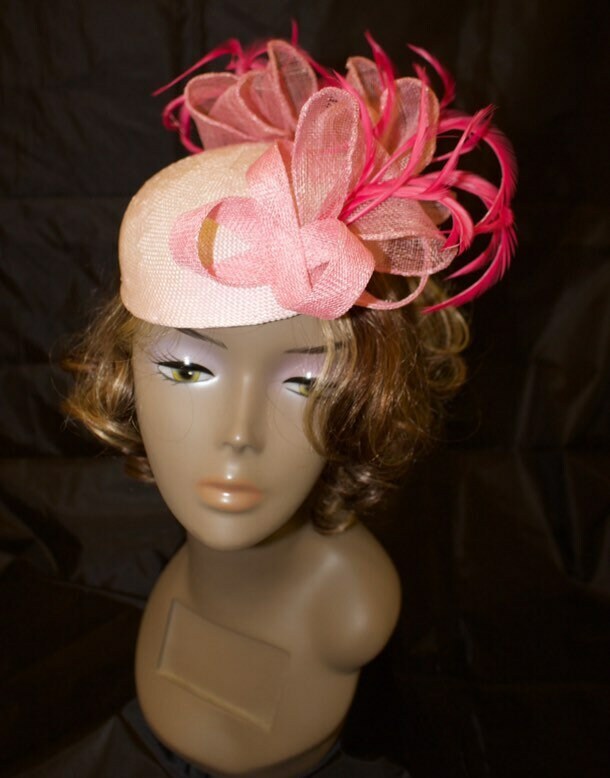 You also can send a fabric swatch if you are making your own dress so millinery can be fully matched. 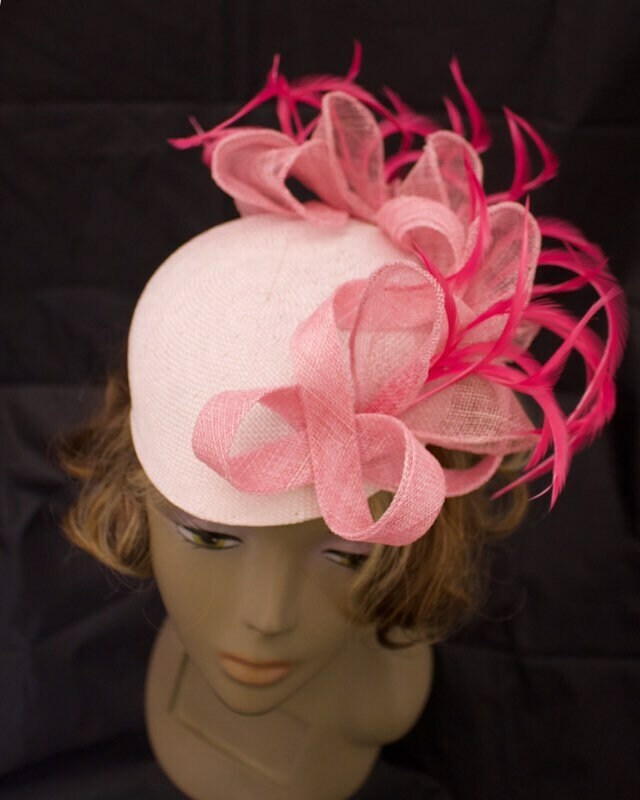 All hats are shipped in box and you can use it to store your millinery while not wearing it. 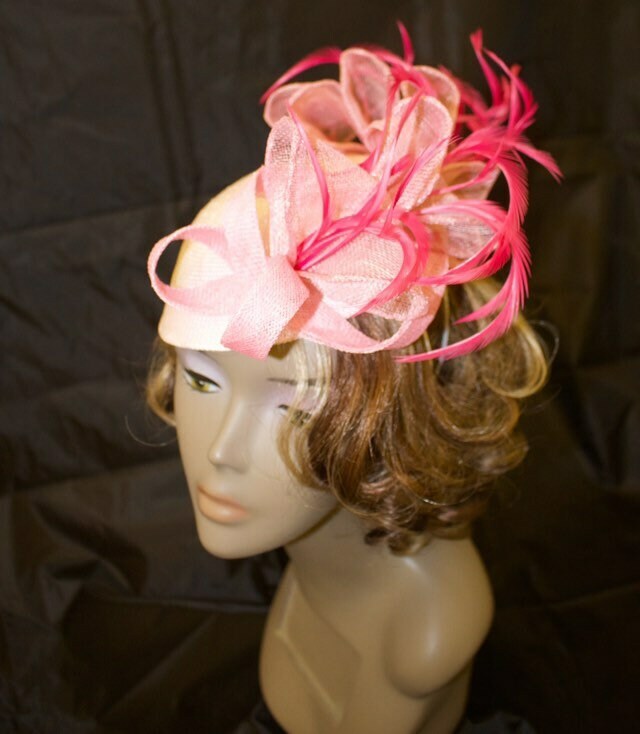 Please note if you require customizable hat you need to allow plenty of time to make it. 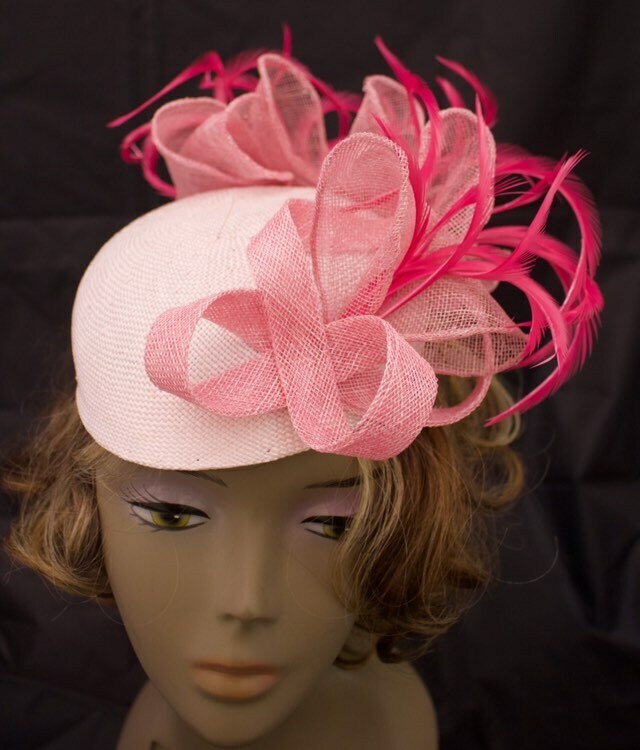 Please see my other hats, fascinator and headwear to find your perfect piece. 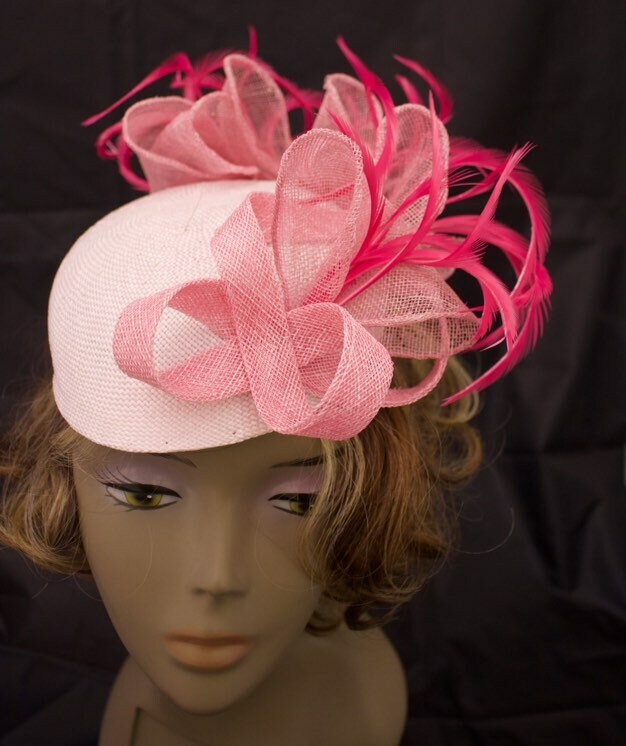 All millinery could be customized unless it stated otherwise so ask me if I can remake it in other color or material first.